According to the New York Times, the orchestra had documentation for each bow, with photographs and letters from bow makers stating that they contained no banned ivory, said the orchestra's director, Stefan Englert. On Tuesday the bows were returned and sent back, after the orchestra showed the documentation and paid a total of $525 in fines and fees. Obviously this situation, with its unpredictable outcomes even when an orchestra has obtained necessary documents, is untenable for traveling musicians. Here is the link to that page. Musicians traveling to the U.S. need clear instructions and a workable system that allow them to attain necessary permits to comply with these rules, in a timely manner. 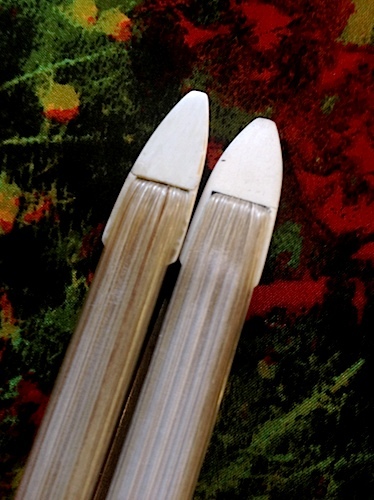 Bows with Ivory Tips in Danger? The bows were returned, but what were the fines for? Yeah, they didn't have official passports for the bows, because (on the FWS webpage) it says it's not necessary unless the instrument contains the banned ivory. They had letters of attestation from bowmakers saying that any ivory on there wasn't from illegal stock (either it was old enough or it was mammoth ivory; I don't know), but it wasn't good enough for them. But it seems completely random--the NYT article says that one musician had two bows from the same maker, made in the same year, with essentially identical materials, and one was confiscated and one wasn't. Everyone is completely confused about this, and it's just a huge, huge mess.